Bruker Albira technology offers advanced imaging techniques for experiments in living animals. Seamless integration of PET, SPECT and CT in one compact footprint allows the study of a full range of biological processes, including gene expression, enzyme and protein activity, progression and treatment of diseases, and the biodistribution, pharmacodynamics or pharmacokinetics of new drugs. 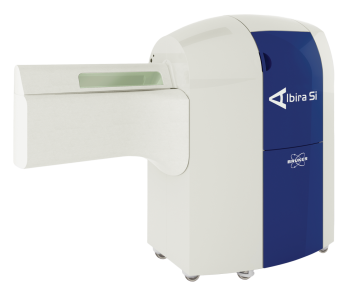 And the most recently released model, the Bruker Albira Si, is the first commercially available PET system to feature advanced silicon photomultipliers (SiPM) technology. SiPM offers major advantages over traditional PET technology by delivering the highest Full Field of View Accuracy (FFA) imaging and quantification and full MRI compatibility. Do you want to know more? Watch te recorded webinar with Professor Sambuceti and his team at the Nuclear Medicine Unit, Department of Health Sciences, University of Genoa and IRCCS AOU San Martino-IST, Genoa, Italy and learn how they identified a previously unknown way of processing glucose in cancer cells through the application of microPET imaging!